Which cat drinks the orange juice. Can you find out the answer? 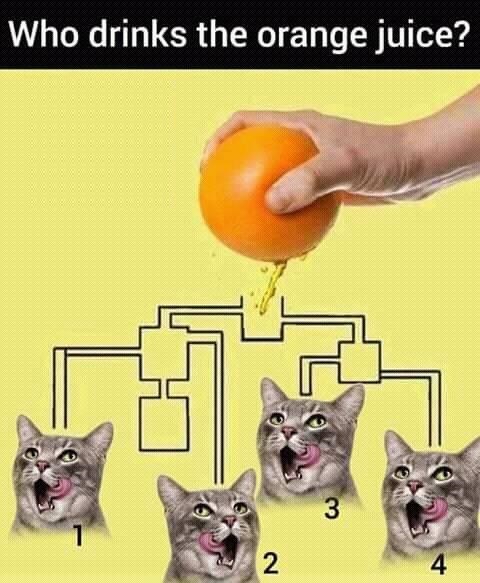 Cat 1, 3 and 4 will not get the orange juice, as you can see there is a block in the pipe for Cats 1, 3 and 4, if you look closely.